Seller says make a reasonable offer on this move in ready! 4 bedroom, 3 bathroom, NEW carpet throughout this beautiful home located within the Villages at Buffalo Run community! This home features an inviting living/dining room, study/den, family room with ceiling fan and fireplace that opens into the gourmet kitchen with eating space, island, pantry, slab granite counters and stainless appliances. The upstairs living area showcases a spacious laundry room with cabinets and utility sink, 4 bedrooms each with NEW carpet and ceiling fans including a Master Suite with an en-suite 5 piece bathroom with soaking tub and dual his/her closets. 3 car oversized attached garage and beautifully landscaped fenced yard with custom patio provides the perfect place for entertaining or casual living. Walking distance to area parks, trails, school bus stop! 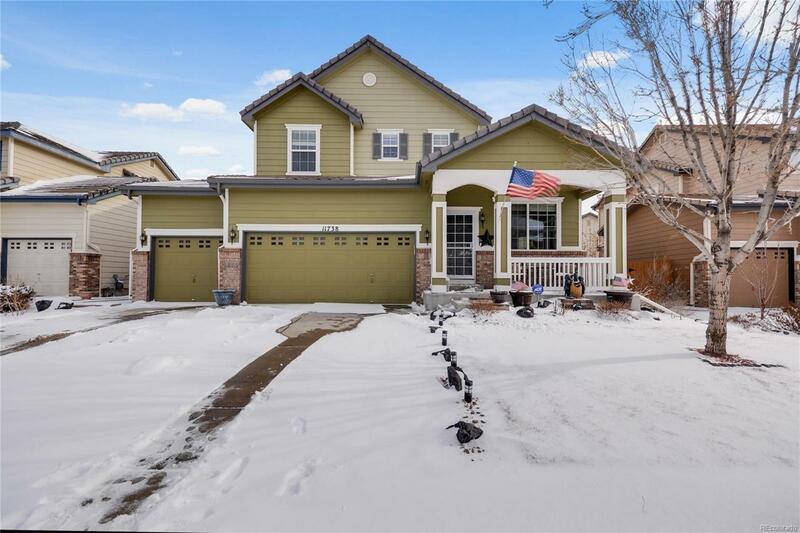 Convenient access to E470, I76, DIA, shopping, dining and all the area offers.